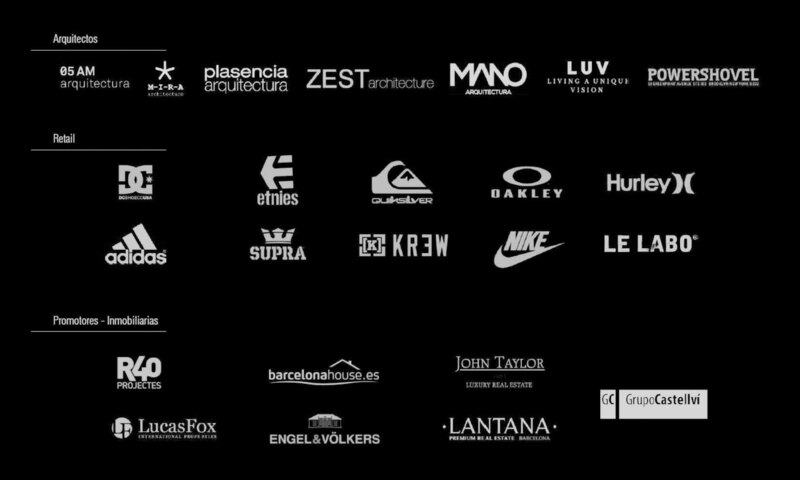 THK Construcciones is a company founded 11 years ago in Barcelona by Juan Rio Hinckelmann and Sebastián Machado Ferrari. Our areas of expertise are single family homes, apartments, offices and retail. The attention to detail and pursuit of quality has allowed us ern the trust of our clients and grow with them and their companies, performing more than 100 works of small and medium scale. We have also been a reference in Europe for some companies with leading brands in retail, complementing our extensive experience in the construction with the production methods of logistics and distribution. We are a multidisciplinary team of construction, architecture, industrial design and management. We deliver the highest quality, working closely with the designers before and during the execution of the works. - Always with the main objective to deliver maximum guarantees to our clients. - Our warranties exceed legal obligations of spanish construction law (LOE). - We have CR insurance and a External Risc Consultancy contract wir high cover. - We are members of de Contractors Guild of Barcelona and registration REA of Generalitat of Catalonia.